Employee-owned smartphones and tablets—working alongside corporate-owned devices, mobile computers, connected printers and smartphones—have transformed businesses and how they transact day-to-day operations. Mobile Device Management software (MDM) lets your IT department establish a comprehensive strategy to monitor, manage and track the use and health of business-critical devices, no matter where they’re used or who owns them. It’s a top IT challenge to secure and manage the numerous corporate-provisioned and employee-owned devices that access your highly-valuable and sensitive data every day. Businesses must ensure that all devices on their network are secure, can be remotely managed and de-authorized, and that the corporate information on those devices can be destroyed or locked-down securely, even on an employee’s personal smartphone. 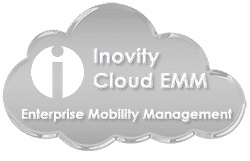 Reduce IT costs, ease the burden of overly-stretched IT departments and increase employee accessibility and productivity with an effective and secure MDM strategy from Inovity and our MDM partners. 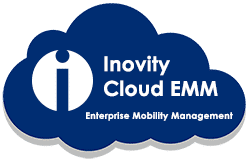 Inovity can help you design and implement a long-term mobile device management plan with MDM software solutions from partners, AirWatch and SOTI. Simplify device management and secure your enterprise. Are you ready to build a unified road map to a more secure enterprise? Contact us today to learn about the best mobile device management solution for your business. Download this complimentary Forrester Thought Leadership Paper sponsored by our partner, Zebra Technologies, and read how companies can increase employee productivity, reduce inefficiency and take proactive actions to enhance operational and asset visibility of their workers’ mobile devices. With our complements, download this thought leadership white paper. Develop a single, unified solution for more control over which devices employees can use to access the enterprise. Control what runs on each device when connected to the corporate network. Define, enforce and deploy corporate security mandates. Update applications, configurations and device firmware wirelessly. Track devices by registering and locating. Manage centrally, either in the cloud or on-premises.